What makes a product to become a favorite? A best seller or a must-have? 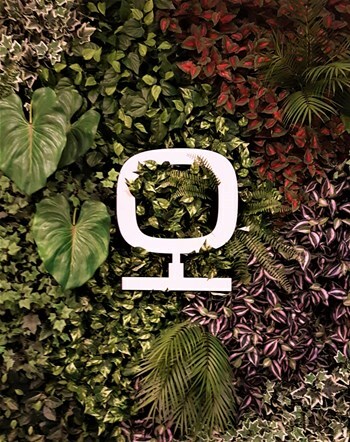 A product that everyone is talking about and wants to buy? Well, to be mentioned numerous times in various platforms and social networks, and be sold over&over again, feeding a legion of fans. This attests the quality and turns a product into a must-have! Check out the list of face best-selling products at our store, that are true miracles of sales and, who knows, you meet your new beauty favorite ?! Product specifically indicated for camouflage slight to moderates.cutaneous defects Has a unique technology that combines a high pigment concentration (25%) with an ultra-fluid texture and it is easy to apply, with a matte finish and 16 hours of coverage provided. No doubt a favorite because it has "soft-focus" pigments concentrated to 30% for a perfect cover, which allow you to disguise imperfections. You should apply the Dermablend with the tips of your fingers, brush or sponge in light movements from the inside to the outside of the face. (see our article about foundation and application). More intense cutaneous should be covered by applying a second layer, and blend around it. -Extend to the neck, near the ears and forehead, to avoid demarcations. -Repeat the application until you get the desired coverage. This product operates at the level of cells responsible for skin coloration, stopping the production of color in areas where this is excessive, eliminating, or mitigating, the unsightly stains. (The mechanism of action is based on the blocking of tyrosinase). The use of sunscreen with high protection index-SPF50 during the treatment is key to ensure its effectiveness and avoid the stimulation of hyperpigmentation. It is excellent for treating melasmas. Dermamelan is a cream with a peeling and regenerator effect that acts on the origin of dark spots. It inhibits the melanogénese, interrupting the production of melanin during a long period of time, during which, exfoliation and regeneration of cells occur (outermost layer) and removes deposits of melanin. This cream can be applied singly or, as maintance for the dermamelan treatment (made in medical or aesthetic office ). Dermamelan is recommended for dark spots with multiple recurrences after other treatments such as the Cosmelan. 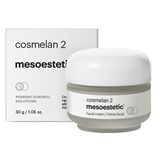 The composition of the two creams is equal, differing in concentration, where the peeling effect of the Dermamelan is stronger and more aggressive than the Cosmelan 2. 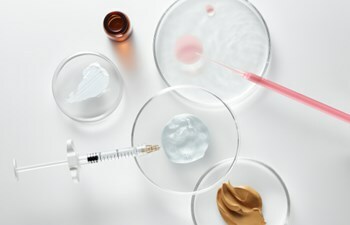 In photoaging, skins with wrinkles, loss of firmness, accentuated spots, thick and uneven skin grain can effectively be improved through the use of Retinol, which is without doubt the most active molecule recognized and effective in dermatological terms, to fight photo-aging. The problem is that in pure formulation, it can cause irritations and skin sensitivity to the Sun. However, Redermic brought the possibility of treatment with good tolerance to this active principle, decreasing the irritanting sensation associated with treatments with this molecule. Their progressive liberation freed a fundamental correction dose, respecting the skin's tolerance threshold. Have a ultra-fluid non sticky texture that melts into the skin. This dermatological intensive concentrate combines Pure Retinol with Retinol L.P., to a powerful anti-wrinkle action and accelerates cell renewal. 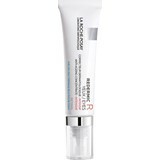 Formulated with Caffeine, energizing and stimulating action, it promotes circulation, diminishing dark circles. Wrinkles are smoothed and the contour of eyes rested! Compact powder Foundation that protects against UVA/UVB rays, the main responsible for the photo-aging, providing a lightweight feel and a natural matte appearance. This compact combines solar protection ideal for the skin, with the care of makeup, in a perfect trip format and no wonder it's a best seller. Guaranteed protection in one package you can carry with you. This concentrated cream moisturizing is a multi-function product and is a must-have for professional make-up artists, models and even celebrities! And why? For its versatility as it can be used as an excellent primer for makeup, mask, make-up remover, post-shaving soothing care, in diaper change and as a basic skincare repairer. Ideal for all skin types and for all ages, leaves the skin moisturized, nourished, repaired and protected, with flexibility and comfort. We can understand why is a cult product, right?